The overall appearance of a product is influenced by color and gloss. A sample of the same color but higher gloss level is visually perceived darker and more saturated than a low gloss sample. In order to get a uniform appearance, both attributes need to be controlled. 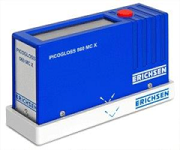 The Spectrometers of the very most other suppliers are only able to measure the color value. In comparison with this, the SPEKTROMASTER 565 is able to measure color and gloss both simultaneously! Thus, the cause of a mismatch can be clearly defined in any situation. The coulometric or anodic de-plating technique is used for measuring the thickness of electroplated coatings on virtually all substrates such as steel, non-ferrous metals or insulating material bases. Typical applications include: nickel on steel, zinc on steel, tin on copper, silver on copper or copper on epoxy This technique simply involves the removal of a small, almost invisible area of coating material. The substrate is not affected. The coulometric method ensures reliable and exact results. 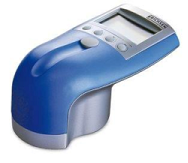 Designed for complete ease of use, GalvanoTest requires no specific operator skills and only minimal training before actual measurements can take place. 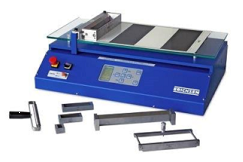 The coulometric principle is the only low-cost method to measure the individual layers of multi-layer systems, for instance chrome plus nickel plus copper on steel one after the other. 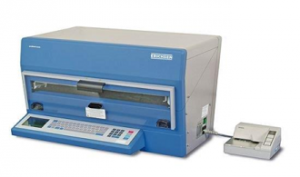 Connected to the MiniPrint data printer, GalvanoTest provides complete documentation of measuring results and statistics. For specific measuring analysis or later reference, the characteristic voltage curve during the de-plating process can also be printed out. Damp photographic paper is pressed by a rubber pad under defined force onto the film surface in accordance with DIN 53 159. Evaluation of chalking mark by comparison with sample scale. The optimized scratch hardness tester LINEARTESTER 249 is intended, in addition to its original purpose of application, i. e. to establish the ability of a surfaces to resist damage by scratching, also for several other tests: – Scribe/Scratch tests – To and fro-cycle abrasion tests – Crockmeter tests – MEK tests, tests determining the resistance against solvents in general or wipe test, respectively. 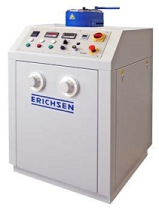 Scratching force in the range of (0.5 – 20) N, with electromotive drive, including circular level, power pack and operating manual. 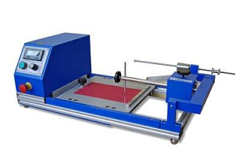 Practical test method to determine the quality of coated metal sheets by deformation in a sudden blow The Bend and Impact Tester is used to measure both flexibility and impact resistance of light gauge sheet metal, or tube stock, coatings in a single operation. 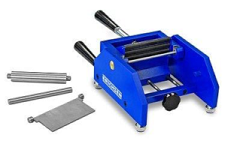 The test simulates punching, beading, crimping and similar operations. 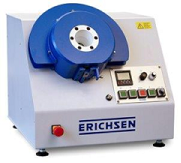 To establish the limiting extension of coating materials on sheet metal specimens by bending around a conical mandrel (1/8″ – 1 ” or 3 mm – 38 mm dia.). From the diameter of the mandrel at the point where the crack starts, the maximum relative extension of the coating can be calculated. 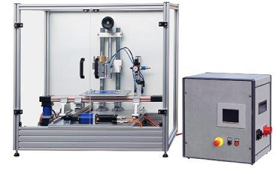 With quick-clamping device for faster operation. 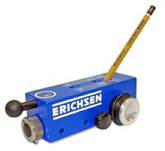 Inexpensive instrument using the magnetic pull-off method for rapid non-destructive measurement of non-magnetic layers on steel. Measuring result held mechanically. No electrical supply required. 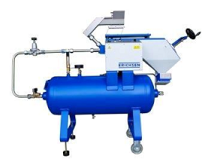 Measuring range: 25 – 700 microns. To measure the thickness of foils, card, paper, with and without coating. 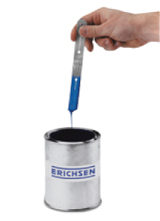 Indispensable for scrubbing resistance tests on Leneta foils and for colour and opacity measurements on contrast cards. Measuring range 1000 microns, accuracy 1 micron. A successful instrument using the standardised wedge cut method. 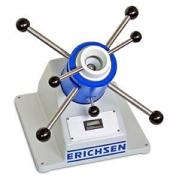 Indispensable for film thickness measurement on any substrate. 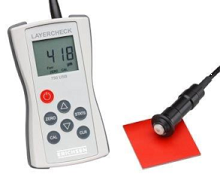 In the case of multi layer coatings total and individual layer thickness can be measured. Measuring ranges 200/500/ 1000/2000 microns. Also for adhesion tests in accordance with AS 1580 (method 408.1). 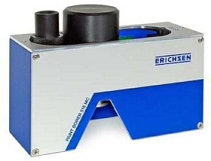 One instrument only for 4 measuring ranges: 5 – 100 microns, 100 – 500 microns, 300 – 700 microns, 700 – 1500 microns. This comb-shaped instrument, made of stainless steel, stands out for high accuracy. Same principle of measurement as Model 233. For measurements on wet films the contact point is raised by means of a knurled screw and then lowered until it touches the surface of the wet film. A hardened and ground double wheel with an eccentric cam in the middle is rolled over a newly applied film. The wetting line on the middle cam is read off on a scale as wet film thickness. 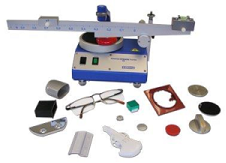 Total measuring range: 1500 microns, available in 8 different sub-ranges. The difference in level between substrate and film surface is gauged by the contact point of the dial indicator. Measuring range 0 – 1000 microns in 5 micron divisions. 24 test card versions available, in different sizes, patterns and colourings, including special penetration cards for watery systems. Test charts to determine the hiding power and contrast ratio of pigmented systems in organic solvents. 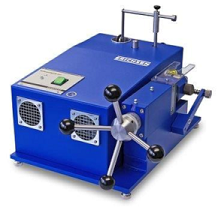 A robust instrument for gauging the degree of fineness-of-grind of liquid dispersions of pigments in the range 0 -15/25/50/100 microns. The substance is filled into the wedge-shaped grooves and drawn down with a blade. Rippling occurs at the point where pigments particles are bigger than the depth of the groove measured in microns. 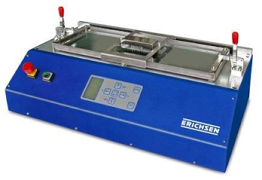 To measure the density of coating materials and similar liquids. Robust and light weight design, made of black anodized aluminium or stainless steel. Available for 50 or 100 ml capacity. Can also be provided with certification from the official Bureau of Weights & Measures (EICHAMT) .